As the saying goes – ‘home is where the heart is’. It’s the place where you grow your family, unwind after a long day, entertain friends and most importantly, where you feel safe and at peace. Lighting choice and design play a huge role in how you present your home to the world and how your home represents you. But how do you select the right pendant lighting that’ll reflect your signature style while enhancing the inviting atmosphere of your home? At Modelight, our values centre around luxury and style, and our vast range of Italian designer lighting ensures that the perfect design and illumination is available for creating your dream home. We offer a myriad of gorgeous pendant lights that suit any style. So whether you’ve long been a lover of pendant lighting or you’re new to the elegance of suspended fixtures, we’ve got you covered. From chandelier inspired lights that conjure vintage glamour to geometric teardrop fixtures that boast contemporary minimalism. Here are the eight best pendant lighting fixtures for a warm and welcoming home. An elegant fellow with an eccentric flair, Mr. Magoo offers a low pendant light that illuminates rooms with the tip of his hat. If you’re interested in subtle, soft and curved fixtures that mirror nature elements like clouds and mist, while aligning with a la mode contemporary styles, this pendant light is for you. 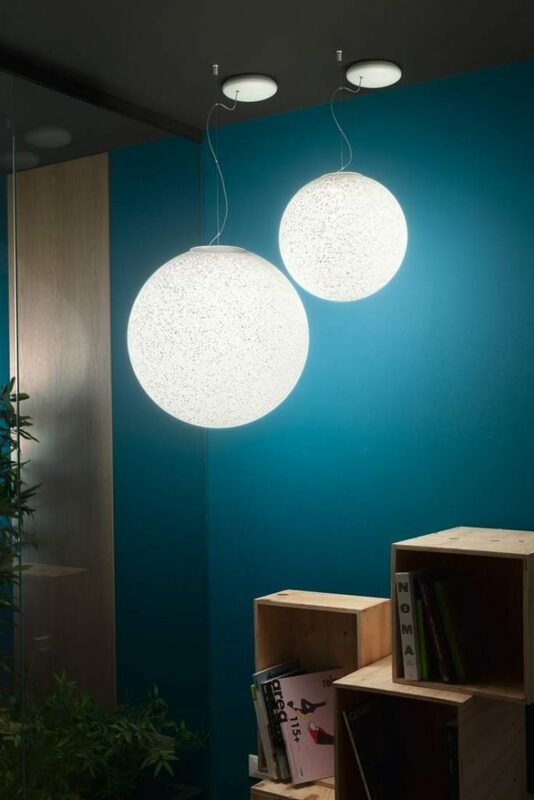 Dispersing cool, smooth light across large spaces, Mr. Magoo’s style of pendant lighting is perfect for living rooms or spaces to entertain, making a luminous companion to a home that values sophistication and cosy vibes. Creating a modern, yet timeless style that takes influence from the lavish designs of a bygone era, Mongolfier perfectly blends vintage designs with light, simple contemporary execution. Reflecting the luxury panache of the homes of the Kardashians, this pendant lighting has an interlacing wave and curve design that is airy, but focuses light with precision, ideal for a kitchen space or art and crafts room. The advantage of this pendant lighting is its two style options: an elongated teardrop for a more petite presence, or a wider, full-bodied form. Mongolfier is also available in several finishes, including copper for a warmer glow, or matte black for a moodier chic feel. Clad in a gorgeous iron rose gold, Hinomaru P 477 Pink Rose has a stately but subtle presence that creates a regal, feminine feel to any space. Suspending an ample disc of light that pools inviting rays across large spaces, this pendant lighting creates an ethereal glow for a calming atmosphere. Versatile in nature, it’s suited to any open space, comfortable above a dining table to illuminate fascinating conversation, or to welcome guests in a hallway or drawing room. The pink rose touch adds a feminine feel, ideal for styles that place emphasis on being soft and tranquil but at the same time imperial in form. 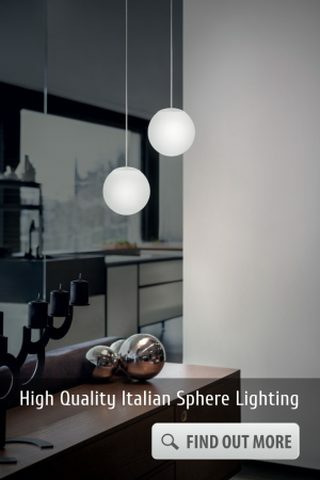 After no-fuss pendant lighting that is ergonomically high quality, while offering a luxury feel? TU-V offers simple design that is still striking, taking inspiration from natural shapes. 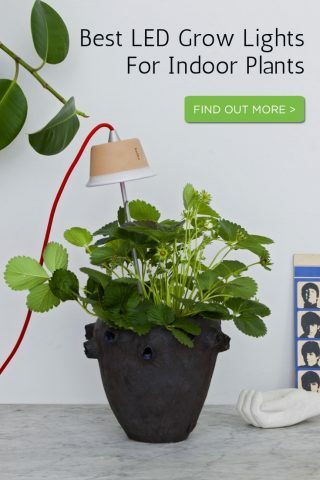 Its tubular form spreads bright, clear light in all directions, without any harsh rays. 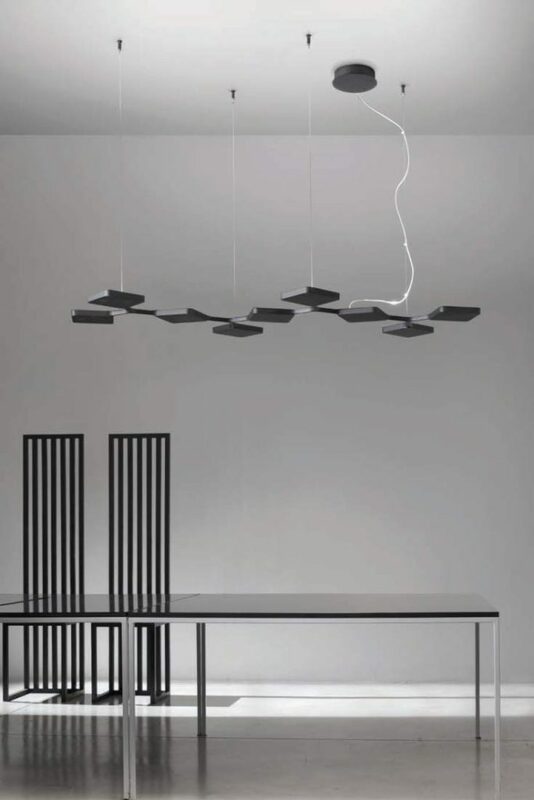 Suspend this pendant lighting on its own or as a combinable arrangement that can act as a piece of lighting art. Echoing the natural beauty of a weeping willow or cascading icicles, TU-V creates a perfect harmony of nature, minimalism and contemporary style. If you consider yourself avant-garde with your interior design styles, or you love creations that play with boundaries and take inspiration from sci-fi, then you’ll soon be a fan of Quad P9. A bold choice of pendant lighting that reflects the eccentric homes of some of Hollywood’s artistic minds, Quad P9 is a asymmetrical lighting god, fusing squares that beam focussed light and mirror a computer keyboard or the structures of DNA. 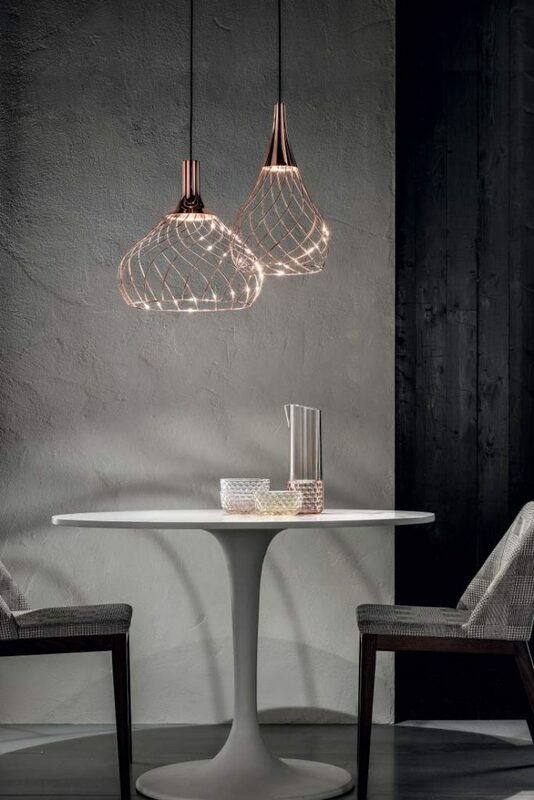 Appearing like a sculpture, this pendant lighting can act as a focal point in a room, tying together futuristic designs while shedding clean light in particular areas. Your home design may centre around an ethereal, celestial feel, clad in silver and white, with a clear energy that relishes open spaces but still places emphasis on upmarket products. If this is the case for you, Stardust P will make the perfect pendant lighting, its dappled texture and astral form casting beams of light that sparkle as much as the stars. Suspending from a rod that waves and curves, Stardust P has an airy, light feel that echoes that of the galaxy. 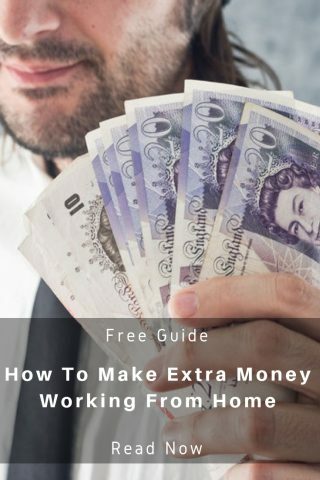 Do you ever flip through magazines or scroll through websites and gasp at the glamour of show homes or the fashions of red carpets? 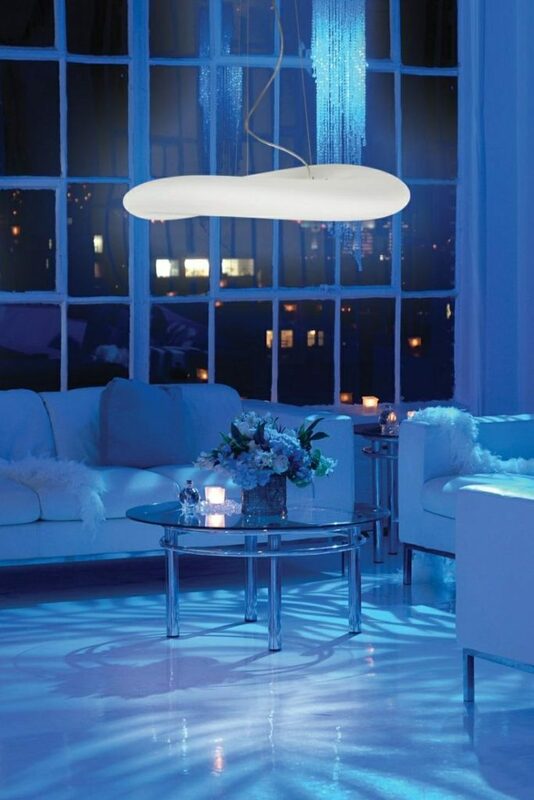 You’re in luck, for a design that mimics the allure of high couture; Artic P2 is the pendant lighting of your luxury dreams. With sparkling ornate detail woven through a looming disc of light, this beauty drips with elegance, decadence and majesty. Influenced by the chandeliers of European palaces but updated for a contemporary space, it’s perfect for suspension over dinner parties or wine tastings around the kitchen island. 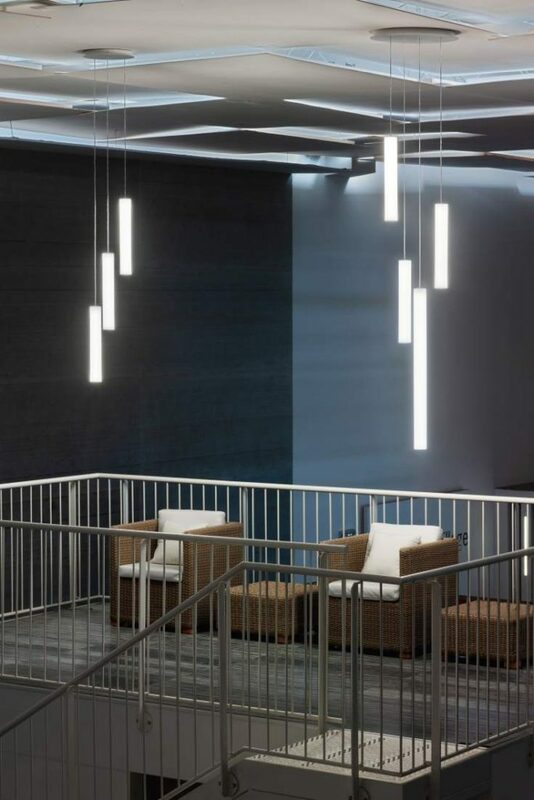 If you’re eager for a pendant lighting fixture that is bold, streamlined and spreads light with clarity across large areas, the Opti-Line will more than do the trick. 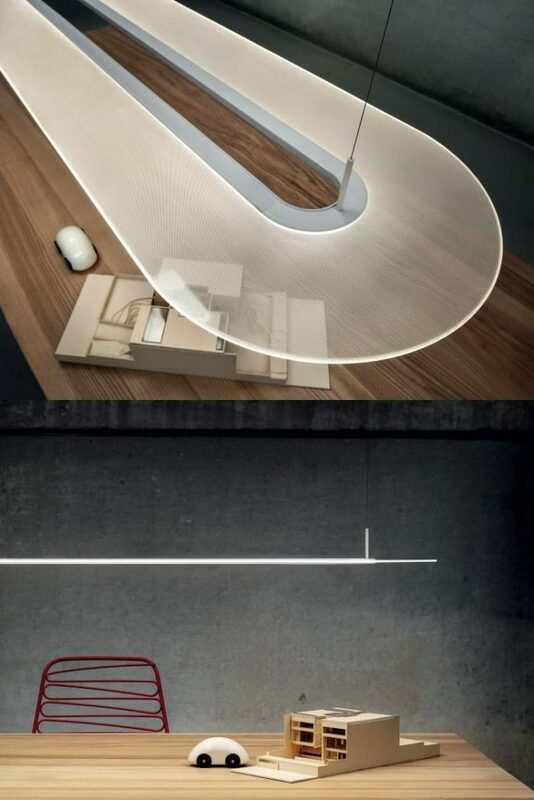 An elongated, curved aesthetic that mirrors racing car tracks, its polished aluminium or white style creates vibrant, confident rays ideal for working spaces like a large home office. Its state of the art OptiLight technology offers the best lighting solutions with high quality beams. 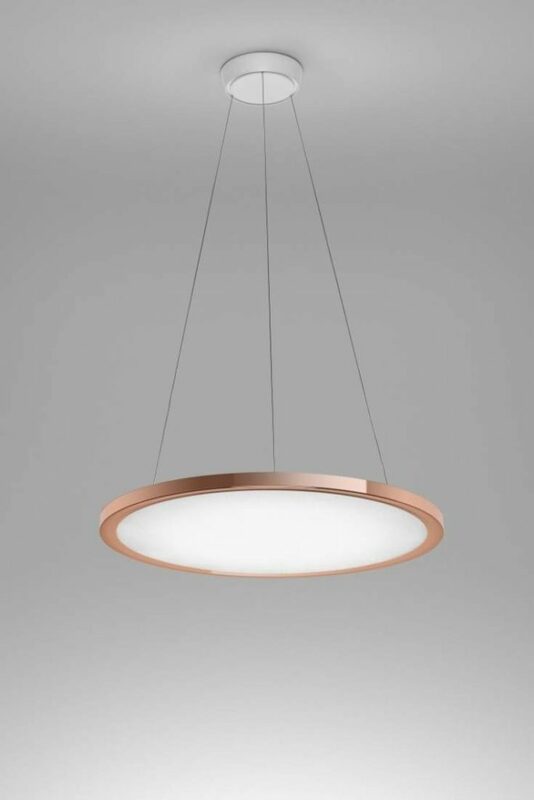 Eager to find out more about our pendant lighting range? Peruse our products or share your favourites over on Pinterest.